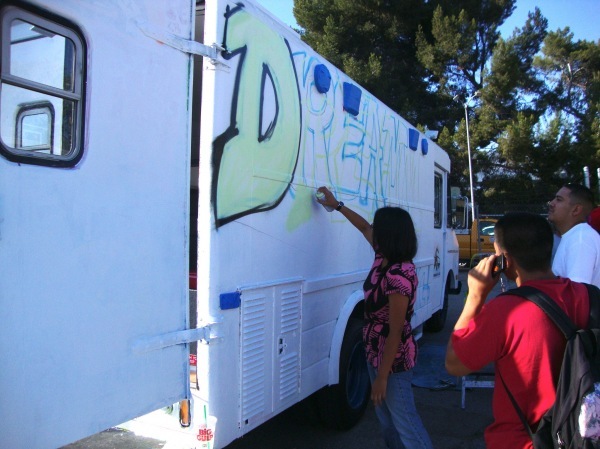 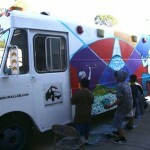 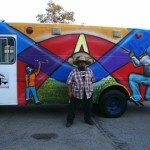 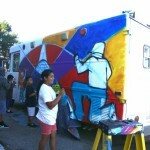 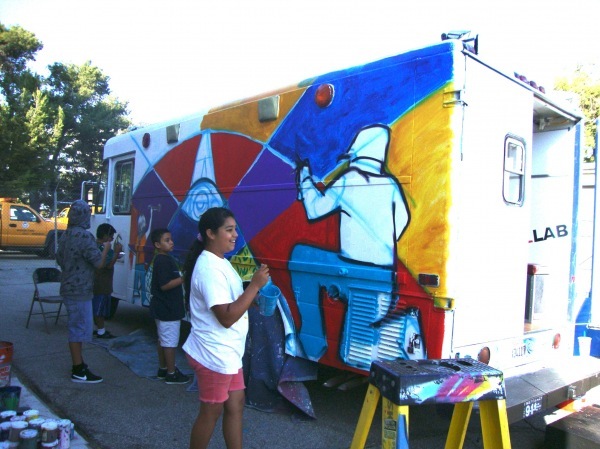 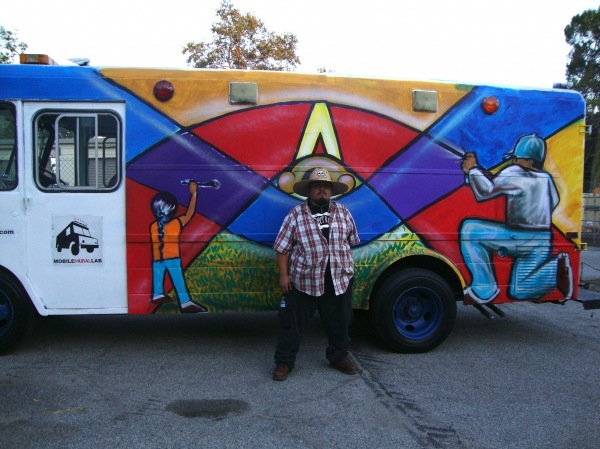 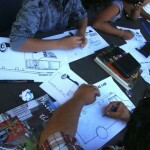 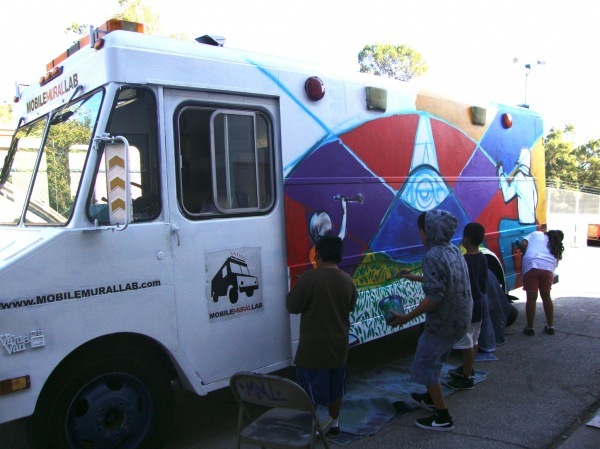 Water Writes Project/ 8th grade- Kipp L.A.
Artists Talo and Mask KTE PTI are guest painters on the truck! 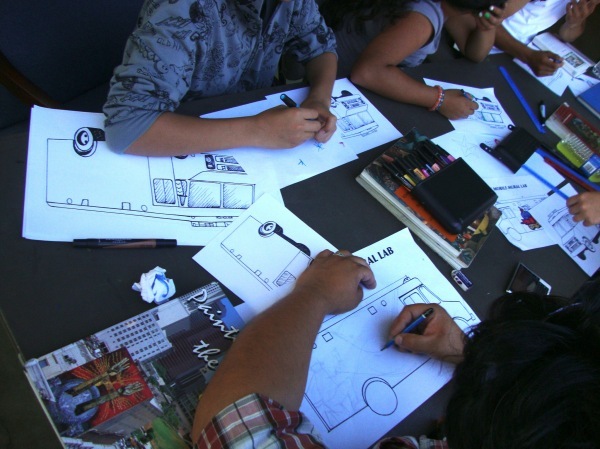 And…here are a few glimpses into our workshop and lecture at Occidental College, 3/5/13! 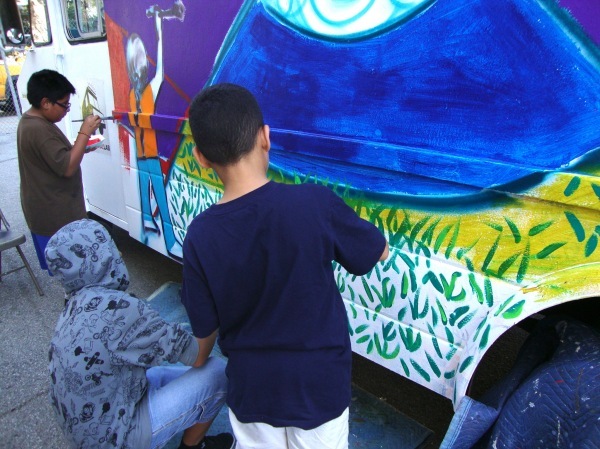 Mural Painting Workshop and Lecture at Occidental College, March 5th! 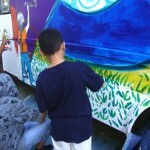 Beautification Day at 6th Avenue Elementary School! 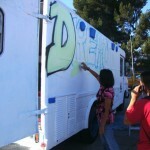 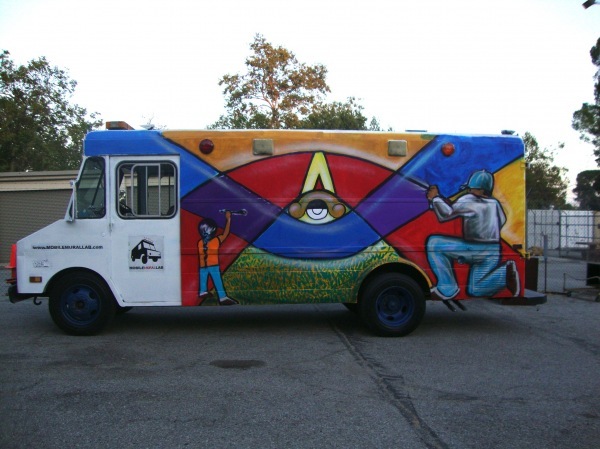 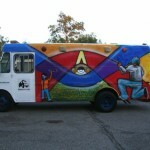 Copyright 2012, Mobile Mural Lab Implemented by Tough Guppy Productions.